Newegg (affiliate) has a great deal going on the OEM version of Windows Home Server. Have an old computer just gathering dust? WHS is a great option for putting that machine back in service - and it works with SageTV HTPC software too! For those of you Home Theater PC enthusiasts wanting Blu-ray (with lossless audio and the best video compression) on their HTPC, I recommended an article by Carlton Bale on the subject. Carlton disucsses the difficulties of getting Blu-ray on the HTPC, the fact that there is no protected audio path (PAP) available on any computer, AACS protection and the many other issues. It's an excellent read on a subject that I think will become more-and-more important to HTPC users in the coming year. People choose to use Home Theater PCs for different reasons, but most often, those reasons start with advanced PVR functionality, Music and Movies not necessarily in that order. For me, having a movie library with all of my owned movies saved on my HTPC server accessible from each of my TV's without needing the physical media was the primary reason I entered the HTPC world in the first place. In part 1 of my SageMC Movie Library Spotlight I showed you how SageTV can organize & play movies stored on your server/hard drives and/or those movies on physical media. We used SageMC's IMDB to import movie metadata one-by-one into SageMC. With a large collection, you might prefer a more automated way to import movie metadata all at once. Now in Part 2 of the SageMC Movie Library Spotlight I'll show you how to easily organize your movies with covers and metadata (titles, genre, overview, actors etc) in SageTV with DVD Profiler - one at a time or better yet multiple movies imported at once. In the end, you'll have a Movie Library that has your movies organized and accessible all from any SageTV interface whether it's on your HTPC computer, an extender or your over the internet. Home Theater PC Movie Nirvana is here. 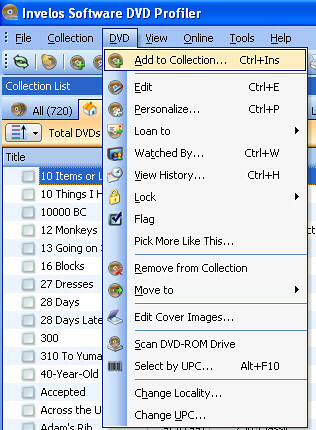 DVD Profiler helps you catalog your DVD collection. 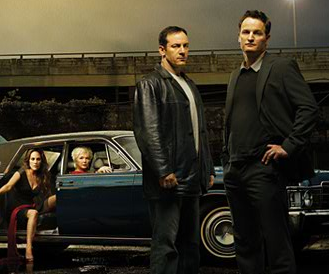 This program catalogs and organizes your DVDs and other movies with metadata, covers and more. DVD Profiler has many other features, but for this article, I'll stick to the task at hand. Basically we'll use DVD Profiler to add each movie to it's catalog list, import the metadata and image covers and then export that data into a usable format for SageTV. 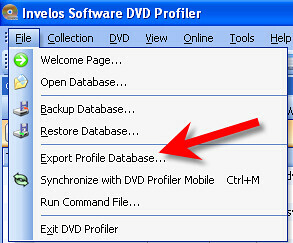 DVD Profiler can scan your UPC code from your DVD itself or you can input the UPC. 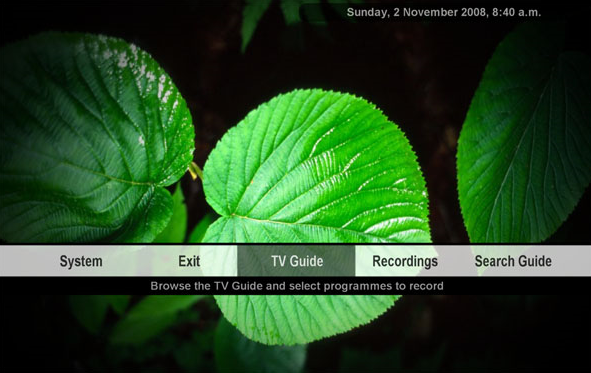 Alternatively you can add the DVD by typing in the title. Once you've found the proper movie title, select that title and select the "Add DVD" button. You can add as many DVD Titles as you need and then select "Add Now to Owned" button to add all of the movies to your collection. Make sure the DVD Title agrees with the folder name (or file name for video files) where those movie files are located. These must match. Original Title - if you want the movie title to be something different than the name of the movie file or folder name, make this match the movie name/folder name and use "Movie Title" for the displayed name. Note that the first two Genre's you choose will be used to organize that movie in SageTV. Check these to ensure you agree with the Genre category. Once finished, select the OK button at the bottom right. 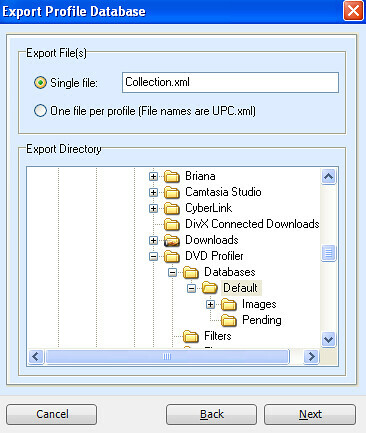 Once you've added all of your movies, select File>Export Profile Database from the DVD Profiler Menu. 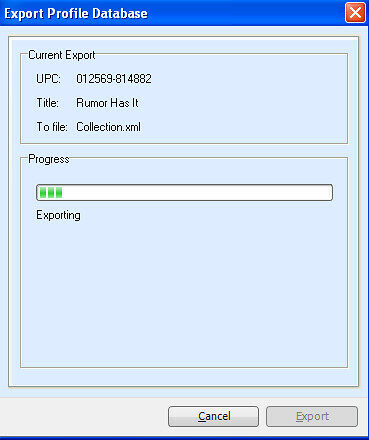 Make note of where the "collection.xml" file is being exported. This file contains the metadata that SageTV will be using to organize your movie collection. 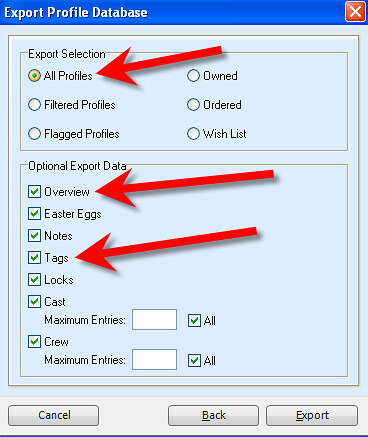 You select what metatdata gets exported. Be sure you select all profiles, overview, tags, and any other data you want accessible in SageTV for your movie collection. Once you select Export it will one-by-one export all movie metadata into the collection.xml file. Now in SageMC (the user-made replacement UI for SageTV), go to SageMC Options. "C:\Documents and Settings\PCNAME\MY Documents\DVD Profiler\Databases\Default\"
If you exported to a different directory you will need to point to that directory. Under Paths, select "DVD Profiler Path"
Now from the main SageTV menu, select "My Movies"
Select the "options" button. You can use the right-mouse-click or "escape" button to get to options. This will bring up the Video Library Options menu. 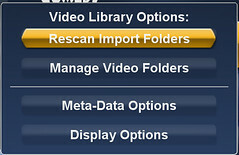 Select "Rescan Import Folders" to import the actual video files and/or movie folders (ripped movie files) into SageTV. Once you have done this, you should see all of those movies listed under "unassigned" genre. Now from that same menu, select "Meta-Data Options". This will bring up a new menu - from here select "DVD Profiler Refresh"
This should import all of the metadata from your DVD Profiler list and match that data up with your movies you've imported into SageTV. You will now have all movies listed in SageTV by title, genre and folder. Also imported will be the description and other metadata from DVD Profiler. You now should have your movies imported into SageMC all organized by genre with metadata and cover images. Open up any of your SageTV client PC's (softsled), your extender or even SageTV Placeshifter or Web Server to view across the internet. If you have any questions, feel free to post them in the comments or head over to the SageMC forum thread for more information. 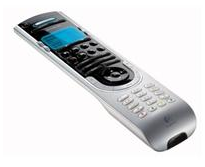 Lots of talk about Remote Controls today. I posted a review of the USB-UIRT for receiving the remote signals into the HTPC (free giveaways of these available if interested) and thought it would be nice to share a few remote control deals out there. If you delve very far into the world of Home Theater PC's (HTPC's) you'll soon find out that one of the first things you'll want to tackle is freeing yourself from the keyboard and mouse. If you really want to trasform your HTPC as more a TV box and less of an HTPC, you obviously want to control it with a remote (aka 10-foot interface). 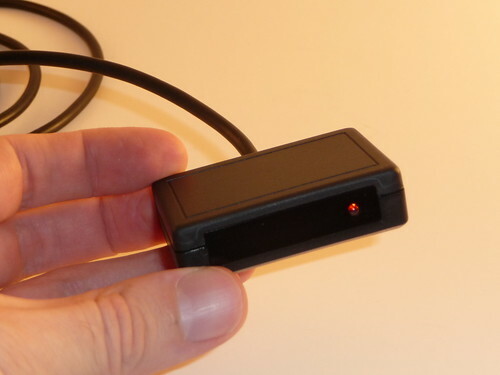 The USB-UIRT is a IR (infrared) receiver and transmitter. In plain speak, this simple-looking device lets you control your PC with a remote control and lets your PC control your Cable or Satellite Box. The name comes as an acronym of Universal Infrared Receiver Transmitter. 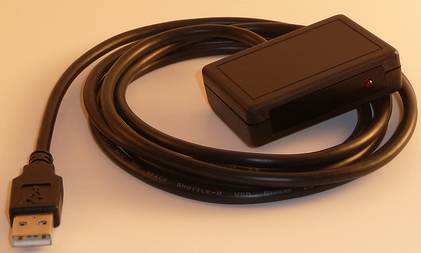 The USB-UIRT connects to your computer through the USB port and allows your computer to receive IR signals from any IR remote. I've used it with my old TV remote, a Hauppauge remote, the SageTV HD Extender remote, a URC MX-500 remote, Haromy 880 remote and many others - you should be able to use about any remote control that emits IR which would be most of them. Another important feature of the USB-UIRT is that it can send (blast) IR signals to control your AV equipment such as a cable box, DVD Player, receiver etc. You can also program the USB-UIRT to handle "discreet codes" (power on only or power off only for instance) that aren't found on your remote control - check out RemoteCentral for a nice database of device codes. I use a USB-UIRT to control the channel changes from my Hauppauge HD-PVR "tuner" to the HD Cable Box - this is a very important feature and an advantage the USB-UIRT has over many other IR receivers. The USB-UIRT works out of the box with many programs out there including SageTV's HTPC software. Even if the program you want to control with a remote control doesn't have USB-UIRT support built-in, you can use Eventghost, LMGestion, Girder, Intelliremote and a whole host of other software to help you control any IR device you want with the USB-UIRT. With this device your computer can be controlled by any Infrared-based remote control. I asked the maker of the USB-UIRT, John Rees how he became a maker and seller of USB-UIRT's. The answer is very interesting. John was an early adopter of HTPC's. When I say early adopter, I mean VERY early - like 1999 which is well before most of us entered the HTPC world! He told me he was so impatient to get a progressive-scan DVD solution, he tore apart an old CD player and converted it into a progressive scan DVD Player himself. He did this by packing a computer into the DVD player. As part of the project, he wrote software to manage the DVD player and wanted to manage the other TV & AV equipment in the setup. So he designed the UIRT based on code from another pioneer in the field, enhanced it & incorporated the USB-UIRT into his personal HTPC. What John found was that many others were looking for a similar solution. 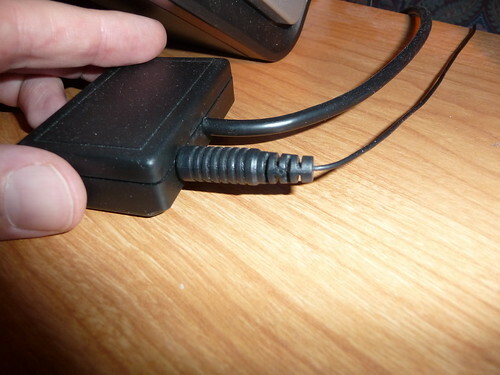 He ended up corresponding with other users struggling to get their own hardware up-and-running and also struggling to use the serial port to make everything work (serial IR receivers were the standard at the time - and there were few of those even.) So he decided to design a USB version from the ground up and build a few for those interested. He designed the hardware, built about 25 UIRT's and the rest is history. John tells me that the USB-UIRT's largest market is actually the "vertical market." The USB-UIRT design has been incorporated into many dedicated hardware boxes that you'd never know were the USB-UIRT. In addition the device is used by many test houses and AV companies to test their equipment on production floors. That should be a testament to how well designed and useful the USB-UIRT is. USB-UIRT - WHAT SETS IT APART? Built-in wide band IR detector for accurate Learning, including carrier frequency. The USB-UIRT is a small, 2.4" W x 1.5"D x 0.7"H black plastic case with a 6' long cable that attaches the receiver/blaster to a USB device. To use the USB-UIRT to receive remote control IR codes, go to Detailed Setup>Commands>"Remote Control Configuration: USB-UIRT Configuration"
Here you can assign the buttons on your remote to each SageTV command that you wish to use. To use SageTV and the USB-UIRT to control channel changing on a Cable/Satellite box, follow the new tuner device setup and select USB-UIRT/External Box. It's very easy. 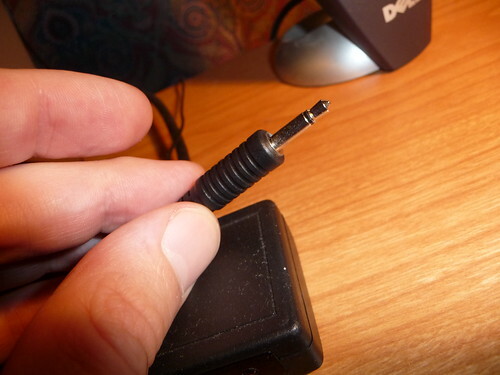 Below is a screen-shot of a 1/8" jack from a IR emitter (not included) that you plug into the back of the USB-UIRT. You then place the IR emitter near the cable/satellite box you want to control. You can control 3 separate external devices since the USB-UIRT has 3-zone output control Read This for SageTV instructions for multple, USB-UIRT zones. I've controlled SageTV, BeyondTV, Media Portal, GBPVR, Meedio, PowerDVD and many other programs with the USB-UIRT. Some of these include built-in control with the USB-UIRT and others will require girder, eventghost or another program of your choice to help control your computer. My experience with the USB-UIRT has been flawless. It just works and works all of the time - for IR receiving and IR blasting. I use a USB-UIRT today to control my cable-box via the Hauppauge HD-PVR instead of the Hauppauge blaster that came with the HD-PVR because the USB-UIRT works that much better. If you need a device to receive and/or blast Infrared, to control your PC or your cable/satellite box; you can't go wrong with the USB-UIRT. I believe in this product and highly recommend it. I use two of these for my everyday HTPC tasks and have never had a problem with them. This product is worth the $50 ($55 with the extra 55Khz sensor) for anyone using a Home Theater PC or even anyone who wants to use a remote control to control their computer. Giveaway - 4 free USB-UIRT's To Give Away! Now that you know nearly everything there is to know about the USB-UIRT, you want one right? Well you can buy one at their website or post a comment below by midnight, November 9th to tell me how you currently use or plan to use the USB-UIRT - I'll be pretty lenient on the comments so don't miss this opportunity. Thanks to USB-UIRT for the donated hardware. I'll pay for shipping to anywhere in the continental U.S. Only one entry per person. Winners will be determined at random on Monday, November 10th. The 2 Circuit City stores near me are both closing as part of the newly-announced Circuit City closures. Circuit City was never my favorite store, but I'd rather not let Best Buy be the only electronics store in my area - competition is a good thing. Want to see if the CC stores by you are on the closure list? 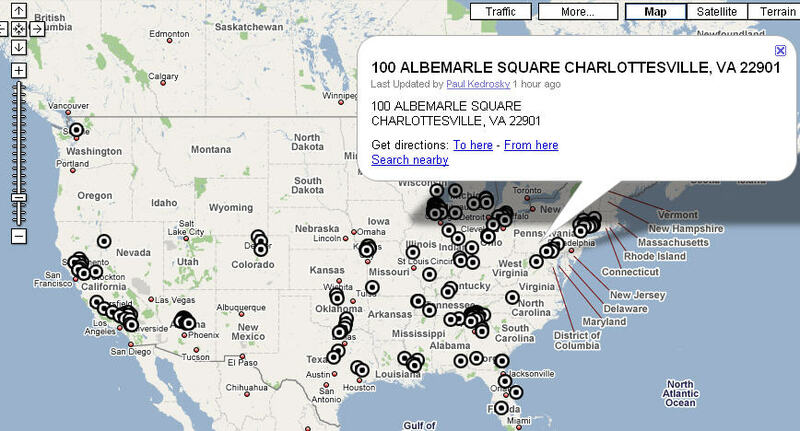 Check out this CircuitCity Closure map that Paul Kedrosky put together. I know many GeekTonic readers are Home Theater Geeks and some are serious about the audio side of their media. MissingRemote has a very useful cheat-sheet breaking down what each audio codec is, what it can and can't do as well as information on how to wire your ideal setup. Blue-ray audio, Dobly Digital, DTS, S/PDIF, HDMI, analog and more - their all covered. And since there are plenty of HTPC fans here, you'll want to check out the HTPC playback section. Even if you are already a little familiar with this audio stuff, I highly recommend this article as a must read. I've been sharing a few of the media and media-gadget deals I run across that I think readers of GeekTonic will be interested in. Today, I have a very nice deal for you. Head over to Amazon.com to check out over 500 different MP3's available for free. As in free of DRM and free for the downloading. Click on the link below to find a few MP3's for your collection. If you're interested, don't hesitate as these freebies at Amazon typically don't last long.